I received a nice note from Rebecca Armstrong, Marketing Manager for Ski Portillo. She mentioned the special video that Portillo produced for the 50th anniversary of the 1966 World Championships. I heard from Ruben Macaya who competed in those 1966 World Championships. He was the youngest member of the Argentinian ski team and Portillo was his first international competition. He recalls sitting next to then Erika Schinegger at the pool. Ruben mentioned that the book written later by Erik Schinegger (My Victory over Myself: The Man Who Became a Female World Champion) was a good read. Ruben now resides in the Sun Valley, Idaho area. I also heard from fellow Stowe Host Willie White who visited Portillo in 1968, which was a bad snow year there. Willie’s wife Tanya went to the Cornell School of Hotel Administration graduating in 1959 and then went on to work for the Hilton hotel chain. Somewhere along the line she met and got to know Henry Purcell. Sometimes the skiing world is amazingly small and connected. As for who was pictured in that U.S. Ski Team poster for Portillo, David Smith says it is Dennis “Poncho” McCoy. So that makes at least two of us who think it’s McCoy. 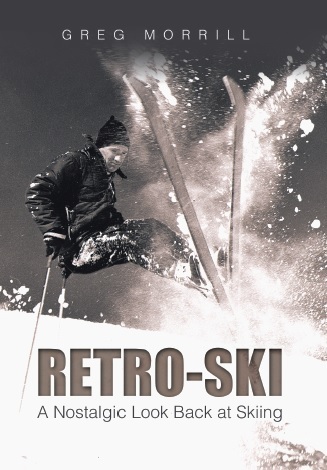 David Smith was a ski racer who trained summers in Portillo starting in 1968.